Stay at the forefront of your profession when you take one of our Continuing Education courses online and earn AGD PACE or ADA CERP credits. Validate your instincts, find solutions, view peers cases and share in the day-to-day trials and tribulations of working in dentistry. 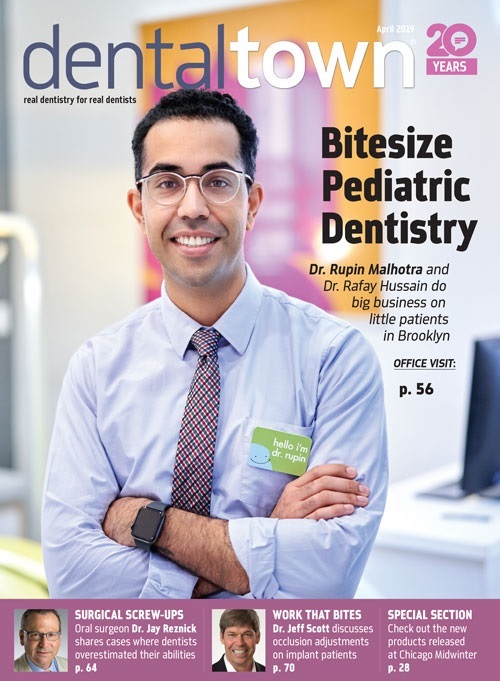 Read the latest issues and archived issues of the best magazine in the profession! You can renew your free subscription, update mailing addresses and add comments after each article online. Unlimited FREE Online Classifieds! Looking for employment? Want to sell that pesky piece of equipment taking up space in your office? Check out dentaltown.com's classified ad section! It's free and easy to use! Check out the blogs. Create your own blog. Listen to popular podcasts.